Showing results by author "Dr. Lohn Borelli Ph.D"
By: Dr. Lohn Borelli Ph.D.
Narrated by: Dr. John Borelli Ph.D. 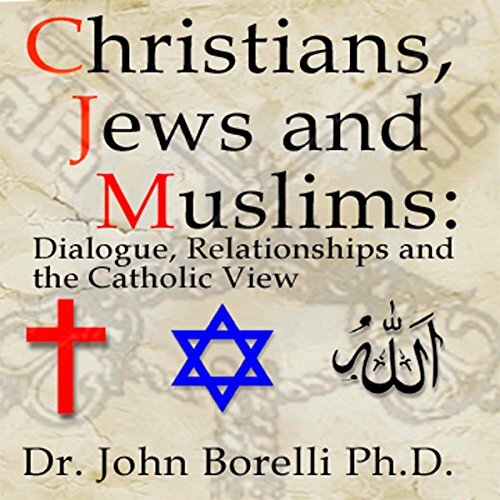 Drawing on decades of study, dialogue, and teaching, Dr. Borelli presents a truly Catholic approach to inter religious dialogue. This presentation will open the minds and hearts of the listeners and prepare them to better understand the ever-shrinking world where Christians, Jews, and Muslims will interact on an ever more personal basis. He presents the basic theological perspectives of the major religions and shows how the current political atmosphere impacts on every aspect of theological dialogue.